Stansbury’s Kayla Alvey (5) tries to make a pass around Tooele senior Mandy Steadman (13) as the Buffaloes’ Makayla Komer looks on during the first half of Tuesday’s Region 11 girls basketball game at Tooele High School. Stansbury won the game 38-31 in overtime after overcoming a seven-point fourth- quarter deficit. Tooele senior Whitney Murray (11) surveys the Stansbury defense as teammate Mandy Steadman sets a screen on Stansbury’s Kayla Alvey (5) during the first half of Tuesday’s Region 11 game at Tooele High School. Stansbury won the game 38-31 in overtime. Tooele’s Aysha Lewis (3) drives past Stansbury senior Kalee Philips on her way to the basket during Tuesday’s game. 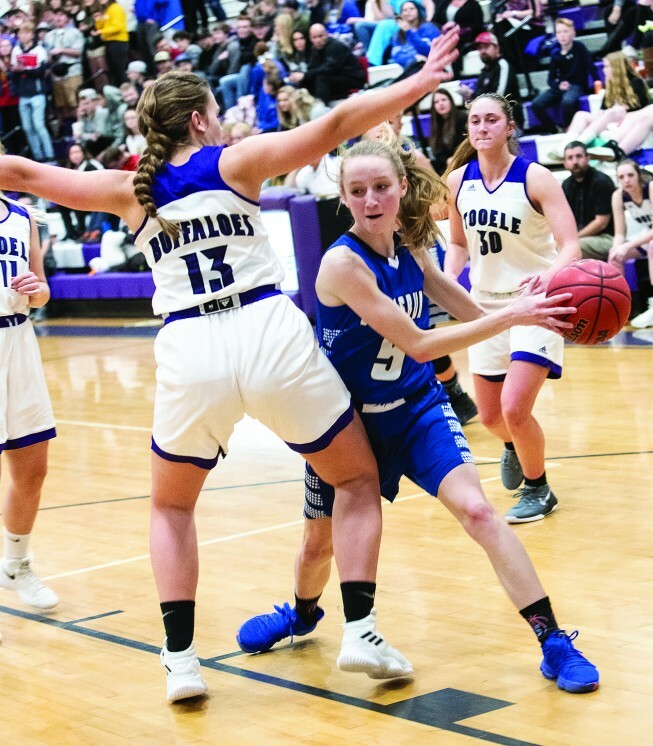 Lewis had nine points for the Buffaloes, helping Tooele build a seven-point lead late in the game before the visiting Stallions rallied in the final minutes. 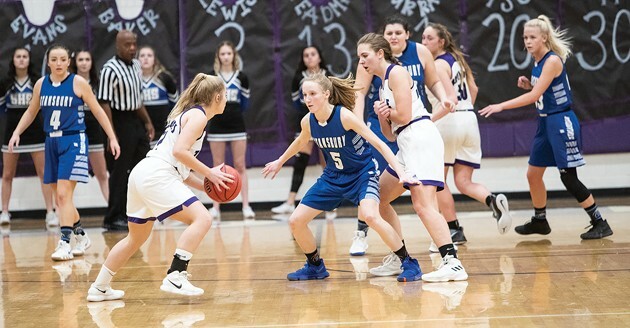 It hadn’t been the best of shooting nights for Stansbury senior guard Mia Thurber, but she came up big when her team needed it most Tuesday night at Tooele High School. With time ticking down and the Stallions trailing 31-28, Thurber banked in a game-tying 3-pointer from 25 feet out to send the game to overtime. Once there, she nailed another 3-pointer on Stansbury’s first possession of the extra frame, and SHS held on for a 38-31 win over archrival Tooele in a key late-season Region 11 matchup. Tooele (9-9, 4-5 Region 11) had mostly controlled the game up to that point, leading 26-19 with 4:34 left in regulation after a basket by sophomore Aysha Lewis. It wasn’t until the 2:52 mark that Thurber scored her first points of the evening for Stansbury (10-9, 7-2), knocking down a 3-pointer that cut the Stallions’ deficit to four. After a pair of free throws by Tooele’s Madi Baker, Stansbury’s Epa Tia scored on an offensive rebound and Ainsley Thurber hit two free throws and a layup to tie the game at 28-28. But the Buffaloes pulled back in front as Makayla Komer and Baker went 3-for-4 from the foul line in the final minute, setting the stage for Mia Thurber’s unlikely shot. 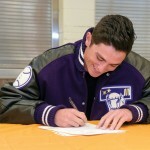 “The gods looked down upon her and she hit that bank 3 down there,” Tooele coach Randy Goss said. It was a familiar scene for Stansbury girls basketball fans, who have grown accustomed to late-game bank-shot heroics over the years. 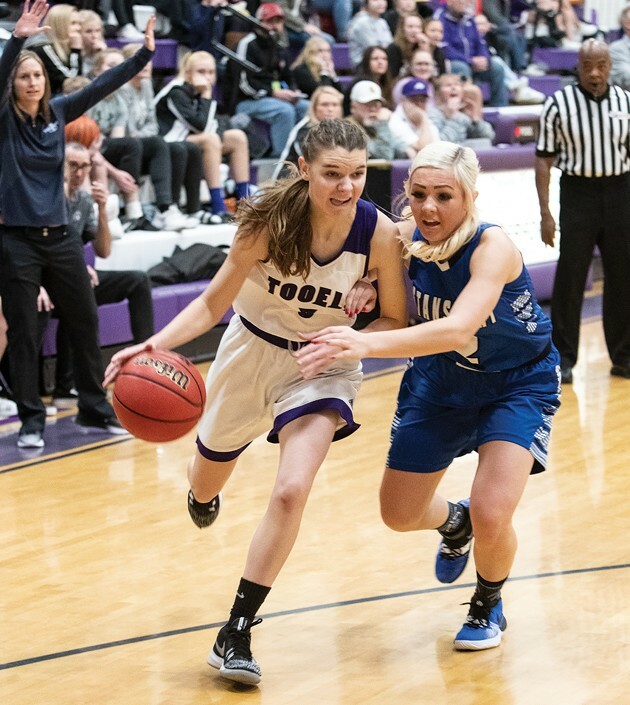 In the first round of the 2015 state tournament, Rachel Prescott sent the Stallions to the quarterfinals with a buzzer-beater against Uintah. The next year, it was Angie Kilpack who banked one in to force overtime in the postseason against Desert Hills. Mia Thurber added another 3-pointer early in overtime, and Hannah Anderson and Kenzi Knudsen each hit a pair of free throws while Tooele couldn’t get anything to go down in overtime. Stansbury finished the game on a 19-5 run over the final 6:52 after only scoring 19 points over the first 27:08. In fact, before taking the lead on the first possession of overtime, the Stallions hadn’t led since they were ahead 4-2 with 3:28 left in the first quarter. Tooele finished the first half on a 13-5 run, taking a 15-9 lead at halftime. The Buffaloes led by eight points with 1:39 left in the third quarter after a basket by Lewis, but they couldn’t extend the lead beyond that. Mia Thurber led all scorers with 11 points. 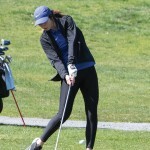 Tia had seven, Anderson, Mackenna Sargent and Ainsley Thurber each had four and Kayla Alvey and Kalee Philips had three apiece. 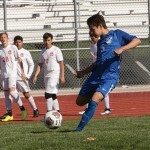 Knudsen added two points for the Stallions, who clinched a postseason berth with Tuesday’s win and will face Juan Diego at home Friday night. Komer led the Buffs with 10 points and Lewis added nine. Mallory Searle had five points, Baker had three and Alivia Cluff and Nizhone Tso each had two. Tooele currently holds a half-game lead over Ogden for fourth place in Region 11 and a trip to the state tournament, and will play host to Park City next Tuesday.